Conceived by Keith “K-Dub” Williams, then Oakland High School’s Art teacher, Town Park started in 2008 with a loosely knit group of skateboarders, artists and community activists and volunteers with the goal of turning a blighted, unused portion of Defremery Park into a positive recreational and creative outlet for West Oakland’s inner-city youth. Conscious Construction was contacted by K-Dub to bring construction and logistics expertise while relocating a 10,000 s.f. 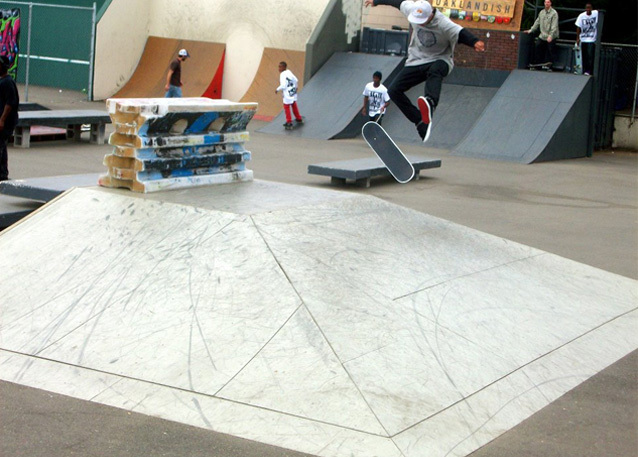 skatepark in Pleasant Hill to Oakland, and then reconstructing it. Subsequently, over the years we’ve continued to help revamp and maintain the park, including the construction of a youth mural project sponsored by SFMoMA.